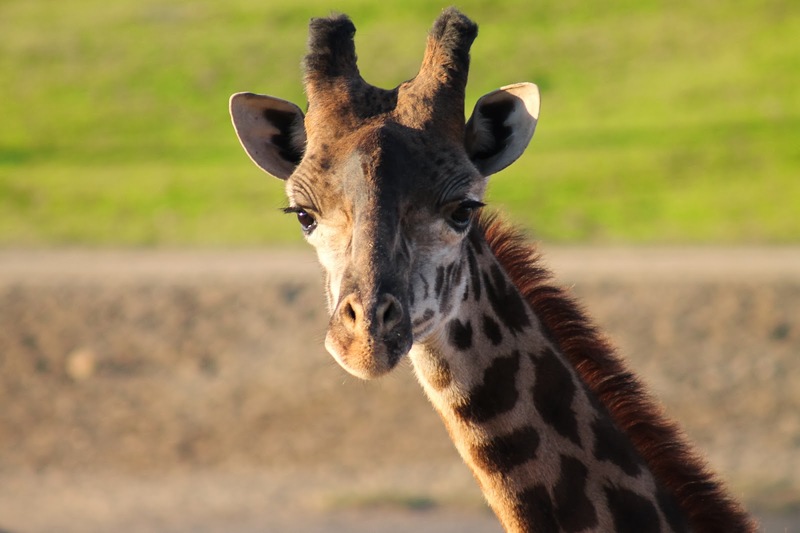 The sun was setting and this little giraffe came walking up along side the field exhibit. The cart came to a stop and I got out to stand by the fence. We looked at each other, eye level to eye level, and we had a moment. A brief moment in time, but it was our moment. These animal connections don't happen all the time, but when they do they are magical.